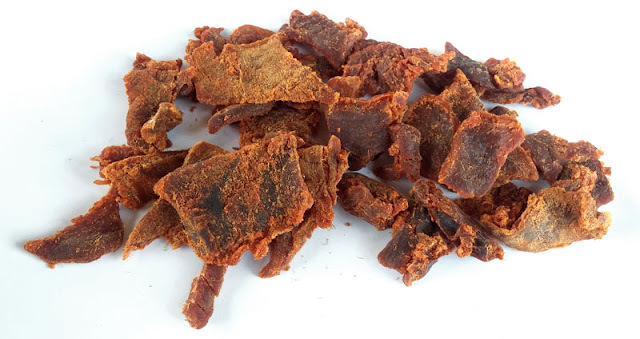 Yellowfin tuna, soy sauce, sorbitol, cane sugar, contains 2% or less of natural flavor, yeast, extract, spice, onion powder, ascorbic acid, spice, paprika. 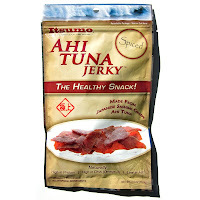 The first flavor I pick up is a tuna fish flavor, followed by a light salt, further progressing into a mild soy sauce. The chewing brings on a more defined tuna sashimi, with a light pungent, radish-like flavor. 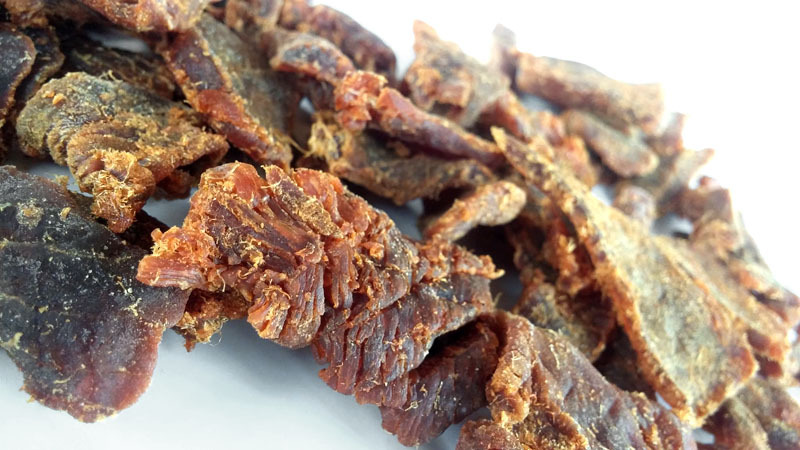 For being labeled, "Spiced", it stands up somewhat. It does have a lightly spicy seasoning, but still mild according to my personal heat scale. I think that it's more spiced compared to the company's "Sweet" variety, because without the sugar, the seasonings are more noticeable. I think it's appropriate the company named this "Spiced" and not "Spicy". Otherwise, the primary taste profile is that of tuna sashimi, dipped in soy sauce with a touch of horseradish. It does have a faint sweet, with a wisk of pepper in the background. 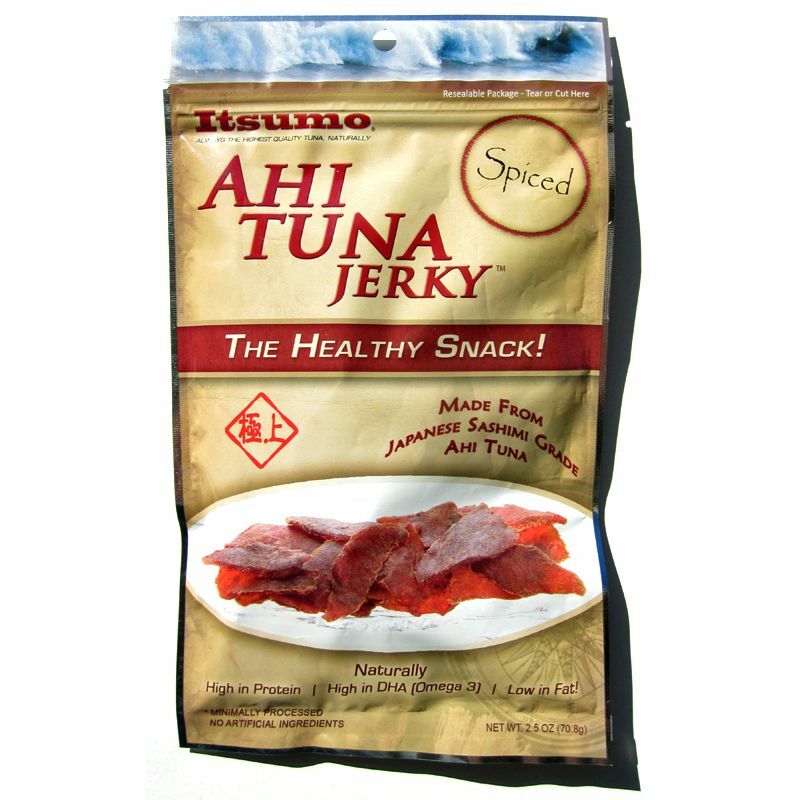 This Spiced variety from Itsumo Ahi Tuna Jerky brings out a bit more seasoning and pepper, but is still largely mild in terms of spiciness. It otherwise, mimics the taste of tuna sashimi, dipped in soy sauce, with a touch of horseradish. It's very comparable to the company's, "Sweet" variety I reviewed last week, but with much less sweet, thus bringing out more a bit more seasoning.